Traditional public bathhouses in Japan have tall chimneys sticking out of the roof, to let out smoke high up in the air to avoid disturbing neighbors. They are not merely smoke-exhausting structures, but when seen from distance, they act as billboard for bathhouses and are also regarded as landmark of the community. 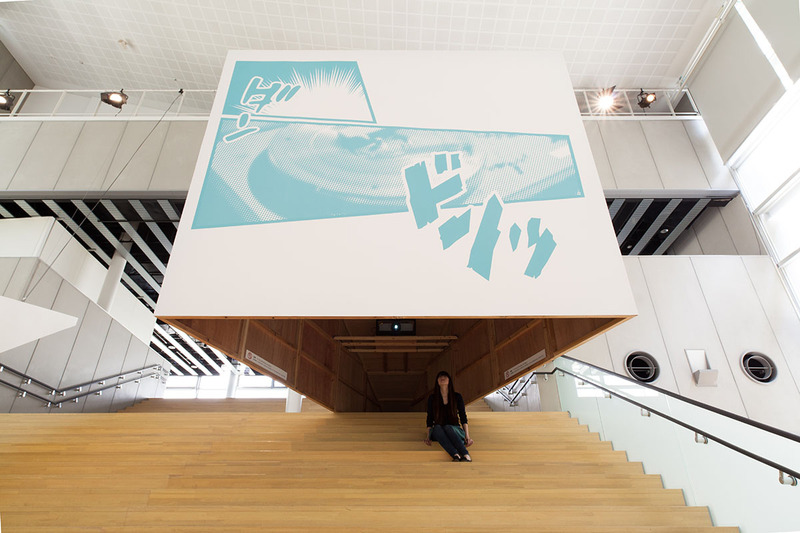 I had this image in my mind when designing this project. 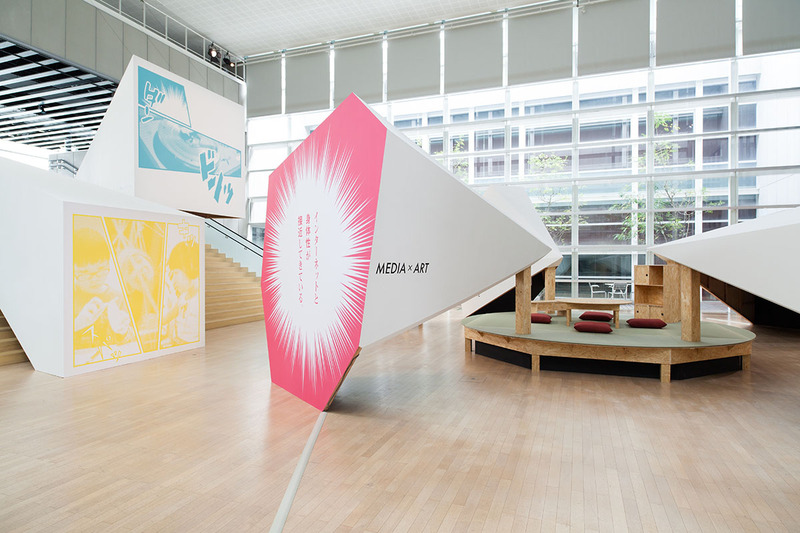 This year marks the 10th Anniversary of Yamaguchi Center for Arts and Media (YCAM). 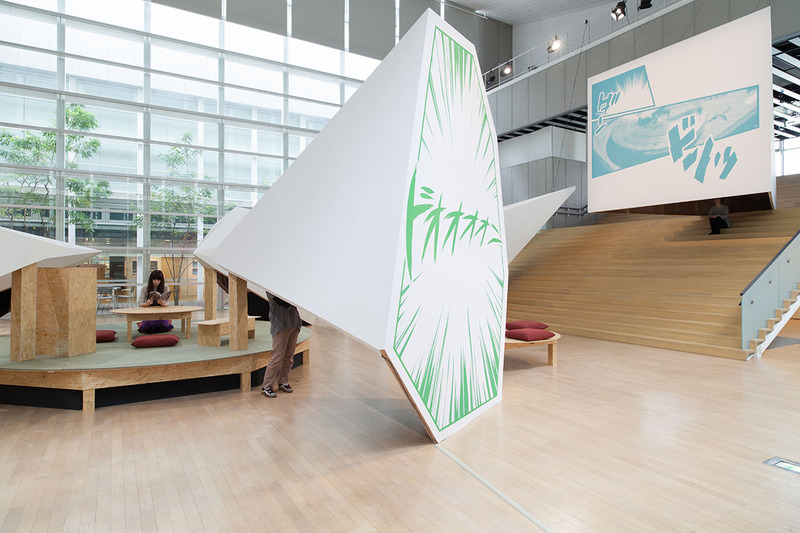 YCAM is a renowned cultural-arts venue in Yamaguchi, hosting theater, dance, art, film, sound, lectures, workshops and many other fields. What distinguish YCAM from other venues are their fully equipped studios/laboratories and expert staff of media art production. 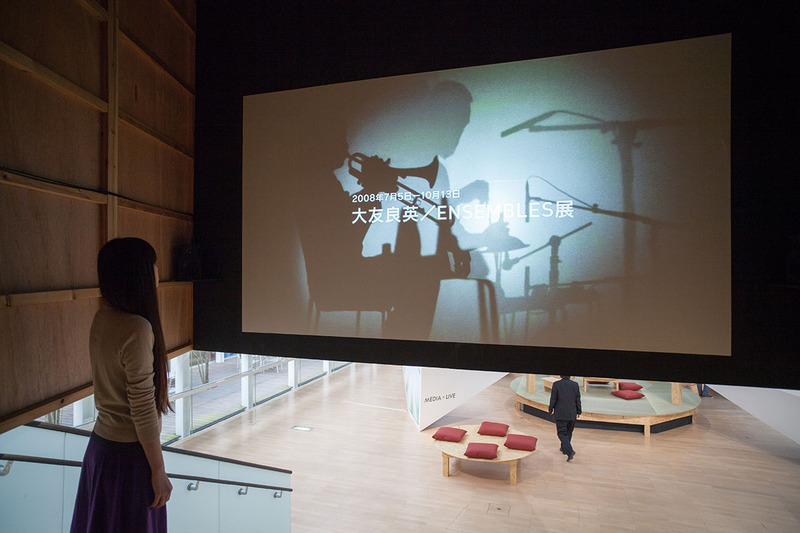 Many artists from all over the world have stayed there for new production and YCAM hosted a number of world premieres of outstanding art works for the past decade. 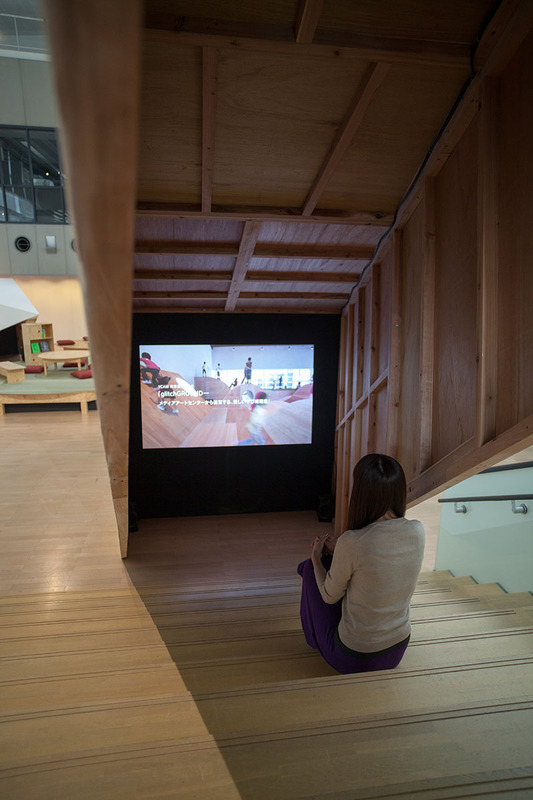 Having served as creative platform for artists for a long time, they are now hoping to receive a wider range of visitors, from citizens of Yamaguchi to people from all over the world, in order to shift from one-way communication (artist to audience) to multidirectional interactions for the coming decade. 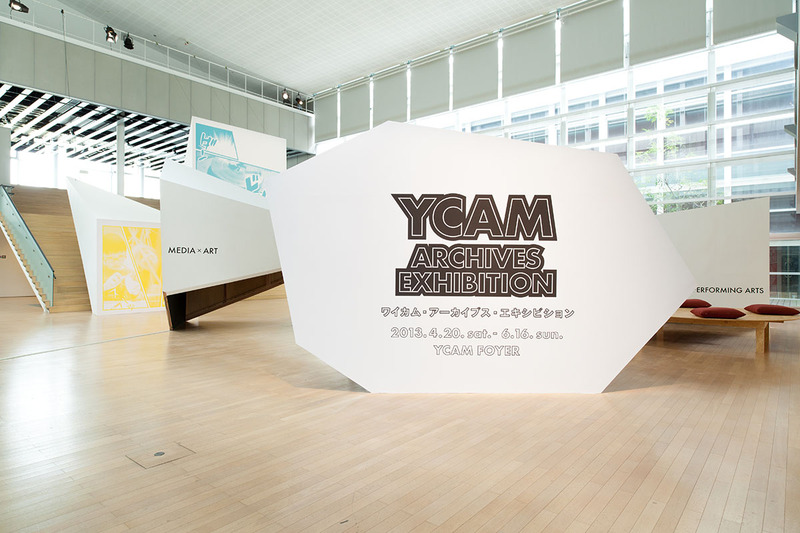 We were asked to designed exhibition space to introduce their archives of the past ten years, so that more people get to know YCAM’s achievements and acknowledge their influential role as innovator of contemporary art and culture. 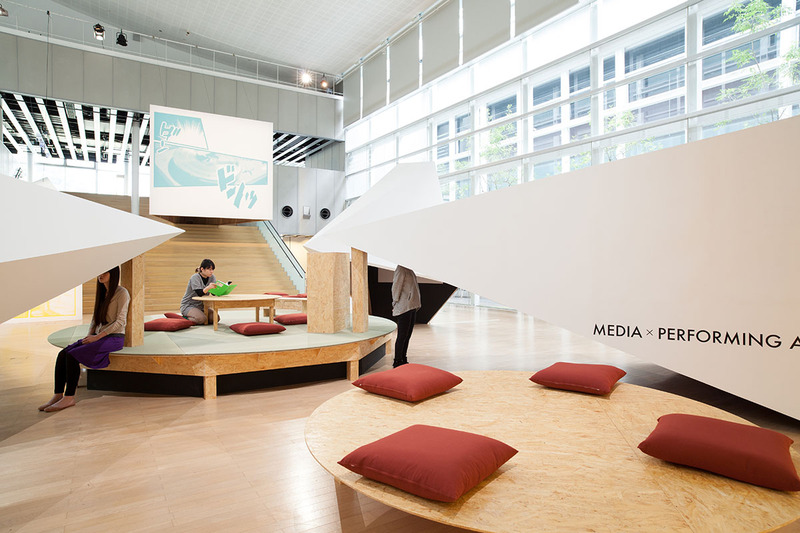 These symbolic elements, resembling three dimensionally exploded ‘speech balloons’ of manga, are actually mini-theaters in which you can watch video archives. Their unique shaped are derived from angle of film projection. 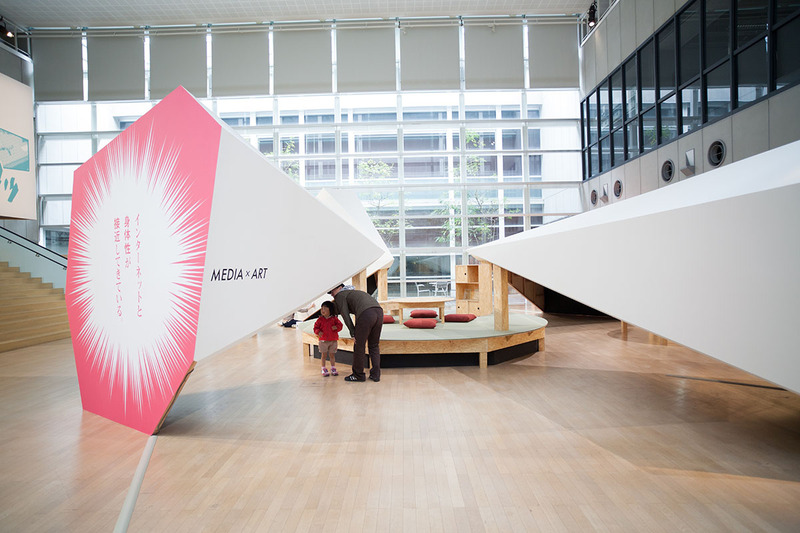 Seen from outside, these unique objects represent media transmitting what’s happening at YCAM to the world. 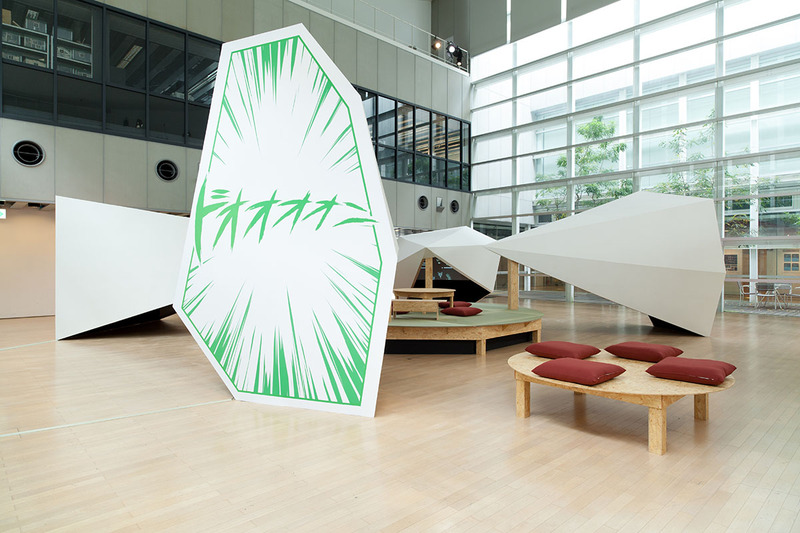 They are located around circular tatami (Japanese straw mat) space in the foyer and also on the grand stairs, and visitors can sit inside to watch video archives. 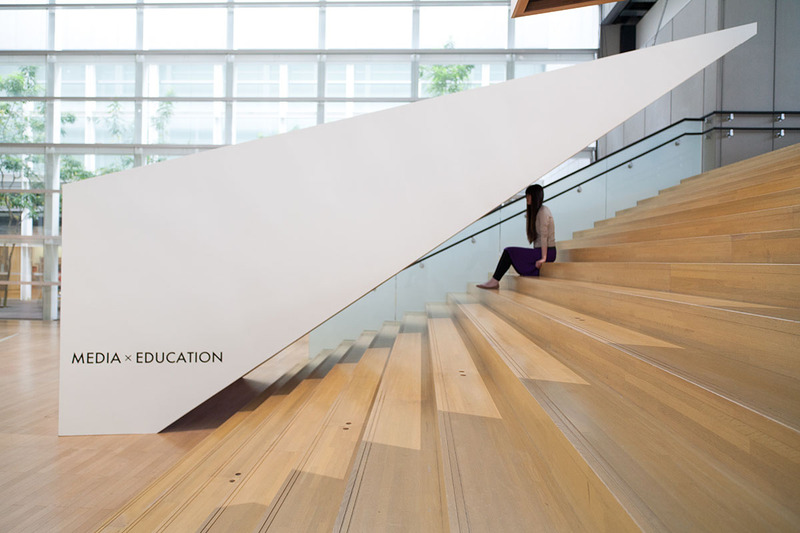 They symbolically and physically connect visitors and YCAM through real-time interaction.